A toxic onslaught from the nation's petrochemical hub was largely overshadowed by the record-shattering deluge of Hurricane Harvey as residents and first responders struggled to save lives and property. More than a half-year after floodwaters swamped America's fourth-largest city, the extent of this environmental assault is beginning to surface, while questions about the long-term consequences for human health remain unanswered. Some 500 chemical plants, 10 refineries and more than 6,670 miles of intertwined oil, gas and chemical pipelines line the nation's largest energy corridor. Benzene, vinyl chloride, butadiene and other known human carcinogens were among the dozens of tons of industrial toxins released into surrounding neighborhoods and waterways following Harvey's torrential rains. In all, reporters catalogued more than 100 Harvey-related toxic releases—on land, in water and in the air. Most were never publicized, and in the case of two of the biggest ones, the extent or potential toxicity of the releases was initially understated. Based on widespread air monitoring, including flyovers, officials repeatedly assured the public that post-Harvey air pollution posed no health threat. But the U.S. Environmental Protection Agency official in charge now says these general assessments did not necessarily reflect local "hotspots" with potential risk to people. Regulators alerted the public to dangers from just two, well-publicized toxic disasters: the Arkema chemical plant northeast of Houston that exploded and burned for days, and a nearby dioxin-laden federal Superfund site whose protective cap was damaged by the raging San Jacinto River. Samuel Coleman, who was the EPA's acting regional administrator during Harvey, said the priority in the immediate aftermath was "addressing any environmental harms as quickly as possible as opposed to making announcements about what the problem was." In hindsight, he said, it might not have been a bad idea to inform the public about the worst of "dozens of spills." Local officials say the state's industry-friendly approach has weakened efforts by the city of Houston and surrounding Harris County to build cases against and force cleanup by the companies, many of them repeat environmental offenders. "The public will probably never know the extent of what happened to the environment after Harvey. But the individual companies of course know," said Rock Owens, supervising environmental attorney for Harris County, home to Houston and 4.7 million residents. The chairman of the Texas Commission on Environmental Quality, Bryan Shaw, declined when asked by lawmakers in January to identify the worst spills and their locations. He told a legislative subcommittee hearing he could not publicly discuss spills until his staff completed a review. The amount of post-Harvey government testing contrasts sharply with what happened after two other major Gulf Coast hurricanes. After Hurricane Ike hit Texas in 2008, state regulators collected 85 sediment samples to measure the contamination; more than a dozen violations were identified and cleanups were carried out, according to a state review. In Louisiana after Hurricane Katrina's floodwaters ravaged New Orleans in 2005, the EPA and Louisiana officials examined about 1,800 soil samples over 10 months, EPA records showed. "Now the response is completely different," said Scott Frickel, an environmental sociologist formerly at Tulane University in New Orleans. Frickel, now at Brown University, called the Harvey response "unconscionable" given Houston's exponentially larger industrial footprint. Reporters covered some environmental crises as they happened, such as AP's exclusive on the flooding of toxic waste sites and the Chronicle's Arkema warnings before fires broke out. But the sheer quantity of spills was impossible to document in real time. Academic researchers are now trying to fill in the gaps in environmental monitoring, helped by grants from the National Science Foundation and National Institute of Environmental Health Sciences. One project, a Harvey-related public health registry for Houston, was funded just this month but is not yet underway. "People are left in a state of limbo of not knowing if they were exposed or not—or if they were, what the implications are for their health," said Dr. Nicole Lurie, who oversaw federal public health responses to the Superstorm Sandy and Deepwater Horizon disasters while at the U.S. Department of Health and Human Services. Scientists say the paucity of data also could hamstring efforts to prepare for and mitigate damage from future violent weather events that climatologists predict will happen with increasing frequency. When it meets moisture, hydrogen chloride gas becomes hydrochloric acid, which can burn, suffocate and kill. Between lulls in Harvey's pounding torrents on Aug. 28, an 18-inch pipeline leak at Williams Midstream Services Inc. unleashed a plume of the chemical near the intersection of two major highways in La Porte, southeast of Houston, where the San Jacinto River meets the 50-mile ship channel. It's the petrochemical corridor's main artery that empties into Galveston Bay. A toxic cloud spread about a quarter-mile in an industrial sector as firefighters and police rushed to shut down roads, blared neighborhood sirens and robo-dispatched phone and text messages warning people to stay indoors. Two hours ticked by before a county hazardous materials response unit—lucky to find a road not under water—arrived and ended the danger with the help of a crew from a nearby plant. The spill was among dozens barely noticed at the time, records show. A county pollution control inspector, Johnathan Martin, wrote in his report that he could not safely monitor the toxic plume but believed it did not reach homes less than a mile away. There were no reports of injuries. On land, the deluge—five feet of rain in some spots—appears to have scoured the top soil, according to separate testing efforts by scientists from Texas A&M and Rice universities. The Texas A&M collection of 24 samples—taken in September from lawns mainly in a neighborhood near Valero Energy Corp.'s refinery—turned up only low traces of petroleum and petrochemical-related compounds. "As expected the rains washed most things out," said Texas A&M research leader Anthony Knap. Rice researchers tested soil at a school and park in Baytown, east across Upper Galveston Bay, where residents said floodwaters rushed in from the 3,400-acre ExxonMobil refinery and chemical plant. They also sampled in Galena Park, a community of 11,000 hemmed in by heavy industry along the ship channel, just east of downtown. Only one of the nine samples collected by Rice researchers showed elevated levels of petroleum-related toxins, according to an independent chemical analysis funded by the AP-Chronicle collaboration. Collected in Galena Park, it showed the presence of benzo(a)pyrene, a known carcinogen, at levels just above what the EPA deems a cancer risk. Jessica Chastain lives a block away. During Harvey's three-day downpour, the nearby Panther Creek swallowed Chastain's home, forcing the 36-year-old mother and four of her children to swim across the street to the safety of her parents' two-story house, through slimy brownish-black water that smelled like a "rotten sewer," said Chastain. "It had a coat of film over it. I'm not sure what it was. It was probably oil." 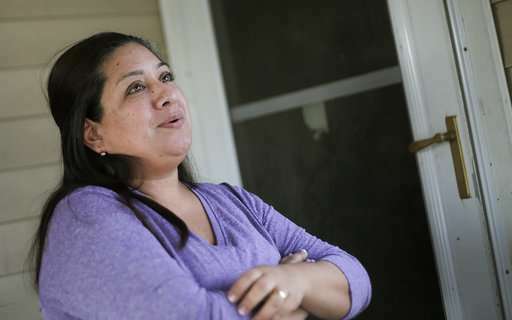 Her children—15, 11, 9 and 6—all developed skin infections and strep throat, she said. Her youngest still "cries when it rains hard," she said. "'Is it going to flood?' he asks." The creek, which empties into the nearby ship channel, had backed up from flooded chemical plants and tank farms. A number of Harvey-related spills occurred near Chastain's home, including the 460,000-gallon gasoline spill at a Magellan Midstream Partners tank farm and nearly 52,000 pounds of crude oil from a Seaway Crude Pipeline Inc. tank. Samples taken in October at a Houston park upstream of the ship channel showed elevated levels of dioxins, PCBs and hazardous chemicals typically created in the burning of oil, coal and gas, said Jennifer Horney, an A&M epidemiology professor who conducted testing for the city. 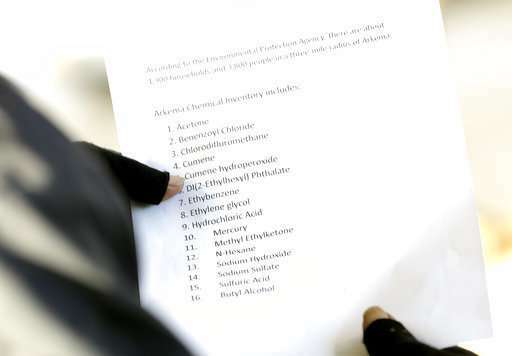 Benzo(a)pyrene was among the chemicals found in sediment on the banks of Brays Bayou at the park, a popular recreation site with baseball diamonds, soccer pitches and bicycle pathways. "It's coal tar and it's a known carcinogen and mostly you find it in industrial settings," said Horney. "We know the ship channel—or the bayou—was (up) in that park." While worrisome, the levels at the park were not high enough to trigger a cleanup under EPA standards, she said. Neither Houston nor Texas A&M officials have publicly released those test results, which the city health department's chief environmental science officer, Loren Raun, said showed "nothing of concern for human health risk." The surface soil scrubbing that scientists believe occurred during Harvey means contaminants likely migrated downstream, said Hanadi Rifai. The head of the University of Houston's environmental engineering program, she has been studying pollution in the watershed for more than two decades. "That soil ended up somewhere," Rifai said. "The net result on Galveston Bay is going to be nothing short of catastrophic." 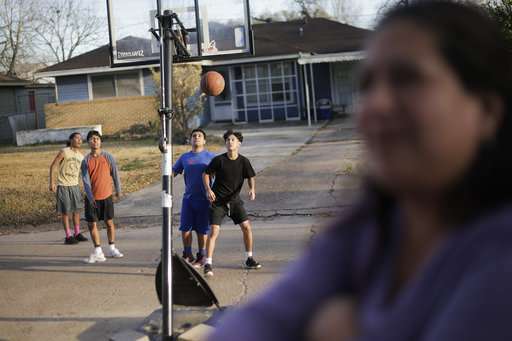 Residents of the tidy, mostly Latino neighborhood off Old Industrial Road in Galena Park are accustomed to the foul odors that wind shifts can bring. But no one told them about the gasoline spill at the Magellan terminal a mile away—one of more than a dozen Harvey-related releases in a two-mile radius. The release was initially reported to the Coast Guard at 42,000 gallons—and residents would only learn of it a week later through news reports. Not until 11 days after the spill did Magellan report that it was actually more than 10 times bigger. 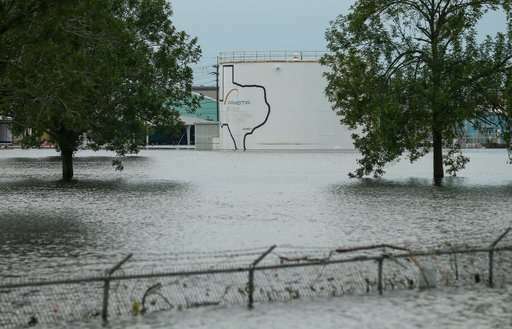 Asked about the discrepancy, Magellan spokesman Bruce Heine said floodwaters prevented the company from accessing the ruptured tanks until Sept. 5. He said the company later removed 15 dump trucks of tainted soil. The spill was reported to the Coast Guard on Thursday, Aug. 31 at 11:35 p.m.—six days after Harvey made landfall. An explosion risk prompted workers to evacuate upwind as the nearly half-million gallons of gasoline gushed out failed storage tanks, state environmental and Coast Guard records show. The spill ranked as Texas' largest reported Harvey-related venting of air pollutants, at 1,143 tons. The local fire department put down foam to suppress the fumes, records revealed, and a police report described "a vapor cloud." Claudia Mendez, a 42-year-old housewife, said she later saw foam by the side of the road and wondered about its origin. The fumes were so strong, Mendez said, "I thought my husband had brought the lawnmower gas can inside." Magellan has been cited for 11 environmental violations since 2002 by Texas regulators and fined more than $190,000, more than half in August 2012 for a single violation of air quality standards. Its spill is among at least three post-Harvey releases about which Harris County officials have withheld information, saying they remain under investigation. The second involves W&P Development Corp., owner of an industrial park where about 100,000 gallons of oily wastewater were reported to have spilled into the San Jacinto from Aug. 29 to Aug. 31. The site was formerly Champion Paper Mill and a landfill there received wastes including turpentine- and lead-contaminated soil and mercury until 2008. For most of 2015 and 2016, the property was in violation of federal anti-pollution laws, EPA records show. A spokesman for W&P Development, Dennis Winkler, said the company later determined that a smaller amount—30,000 gallons—had escaped from a water treatment plant when the river overtopped a berm. The third site is Channel Biorefinery & Terminals, where some 80,000 gallons of methanol spilled from a tank rupture into Greens Bayou, which enters the ship channel just downstream of the Magellan terminal. Highly flammable and explosive, methanol can cause brain lesions and other disorders. The property, once the site of the nation's largest biofuels refinery, was in violation of federal hazardous waste-management rules the first half of 2017. 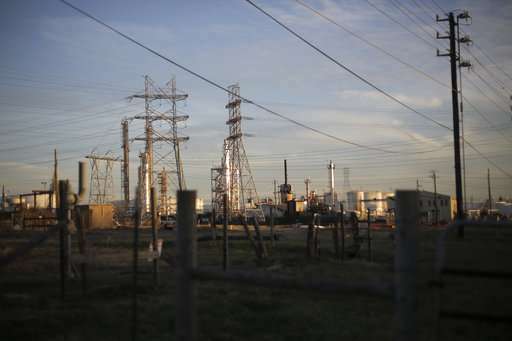 Texas cited the property's owners for failing to prove they could manage licensed wastes, including oily sludge and petroleum distillates, records show. Dennis Frost, the on-site manager for Gulf Coast Energy, the tenant of Channel Biorefinery, said he and co-workers did their best to prevent the spills. "They were impossible to contain," he said. "The water here down by our facility was up over 20 feet." Companies are required under federal law to report spills to the state and federal government but not to counties, which are the first line of defense against industrial pollution. Harris County pollution control investigators queried more than 150 plants on Harvey-related spills, but many did not provide estimates. "Spill information is provided as a courtesy," said Latrice Babin, deputy director of the county's pollution control office. "Likewise, there is no requirement of notification of evacuation." 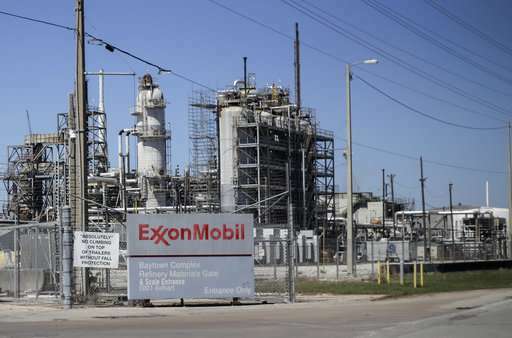 The largest spill, by far, was at ExxonMobil Corp.'s Olefins Plant in Baytown, east of the ship channel. Two days after Harvey hit, some 457 million gallons of stormwater mixed with untreated wastewater, including oil and grease, surged into an adjacent creek. The spill was not reported to the public. In a water quality report filed with the county and obtained through an open records request, ExxonMobil said "available information does not indicate any potential danger to human health or safety or the environment." It did not include results of third-party water testing that the company said had been done. The plant has a history of federal air pollution violations and reported emitting 228 tons of airborne pollutants during Harvey. — More than 3,000 pounds of benzene from Royal Dutch Shell PLC's Deer Park complex on the ship channel's south bank. Initially, the company reported a half ton of phenol, which can burn skin and be potentially fatal, was spilled. It later revised that downward to just two pounds. —About 34,000 pounds of sodium hydroxide, or lye, which can cause severe chemical burns, and unpermitted airborne emissions, including 28,000 pounds of benzene, from the Chevron Phillips Chemical Co. plant in Baytown, near where thousands of residents live along Cedar Bayou. A spokesman, Bryce Hallowell, said a containment pond kept about 38 percent of the lye from escaping the facility. — About 60,000 tons of what Dow Chemical Co. called "non-hazardous biosolids" at the company's plant in Deer Park. The company now says that roughly 50 tons of that consisted of biosolids and that the rest was "primarily" stormwater. Yvette Arellano of the advocacy group Texas Environmental Justice Advocacy Services surveyed the area by helicopter on Sept. 4. 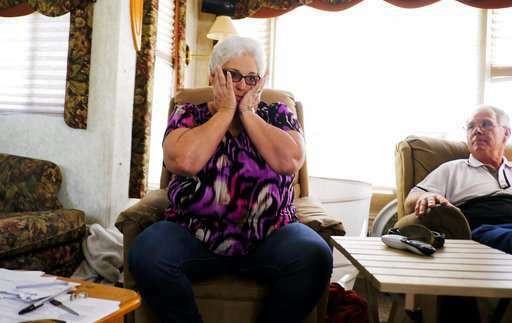 She reported seeing flooded tank farms, fluorescent liquid streaming from Exxon's outfalls, and refineries and chemical plants flaring gas intensely like giant candles. "The entire skyscape looked like a birthday cake," Arellano said. As Harvey bore down on Texas, Gov. Greg Abbott's administration decreed that storm-related pollution would be forgiven as "acts of God." Days later, he suspended many environmental regulations. On Sept. 1, just as residents in some areas of Houston started dragging soggy belongings to the curb, the city experienced Texas' worst ozone pollution of the year. A top city health official emailed the EPA on Sept. 1 with a request marked "urgent," asking for help in determining whether spills and leaks at industrial and Superfund sites threatened the public. Three days later, after getting no response, she emailed again, records obtained in a public information act request show. 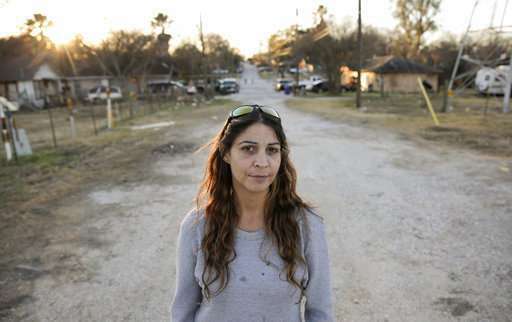 "We are finding alarming levels of benzene in the neighborhood next to Valero . Should EPA evacuate the residents?" There was no record of an EPA email response, though the agency did send a mobile air-monitoring van on Sept. 5. 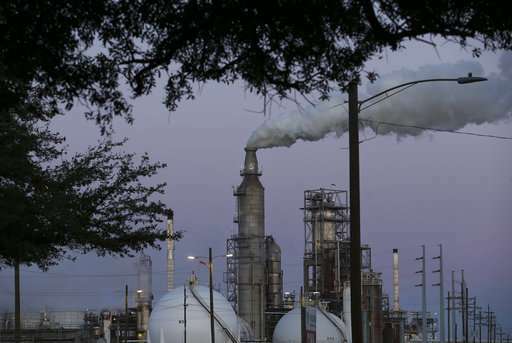 By then, Houston had done its own air monitoring, recording a high benzene level of 324 parts per billion—more than three times the level at which federal worker safety guidelines recommend special breathing equipment. The city was aided by the nonprofit Environmental Defense Fund, which dispatched a mobile van from California to track the toxic benzene plume. 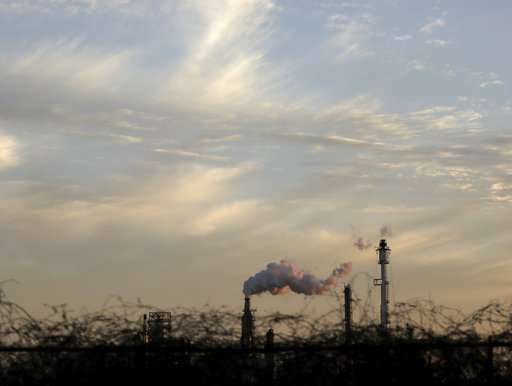 On Sept. 7, state investigators took air samples near Valero and reported suffering headaches and dizziness, though they said they found pollutants "below levels of short-term health and/or welfare concern," according to a state report. The EPA said it also conducted 28 flights over 12 days beginning Aug. 31 using a plane equipped to evaluate "unreported or undetected" chemical releases. It flew over nearly 700 industrial sites, municipal wastewater treatment plants and other facilities, and EPA said it found no pollution exceeding state-permitted levels. In at least seven "status reports" the EPA and TCEQ posted online from Sept. 3 and Oct. 6, they said all measurements "were well below levels of health concern." Coleman, who retired in January after 29 years with EPA, said he was comfortable with the advisories, saying they were general assessments. "Were there hotspots? Absolutely," he said in a recent interview. "But on any given day, within some isolated area, there could be a problem." AP and Chronicle reporters asked the EPA and state regulators for a detailed accounting of any soil and water testing they did after Harvey, along with any investigations or sanctions. 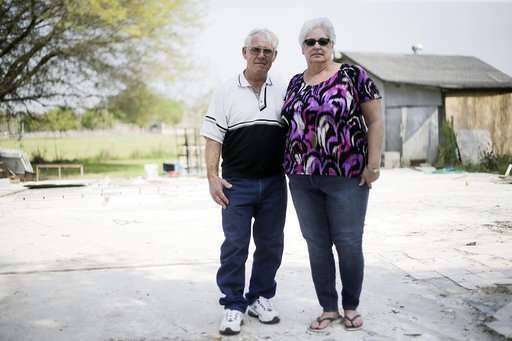 The responses mostly cited online bulletins, in which the EPA said it had assessed all 43 Superfund cleanup sites in the hurricane-affected area and cleared all but one—the San Jacinto River Waste Pits, which was leaking dioxins. 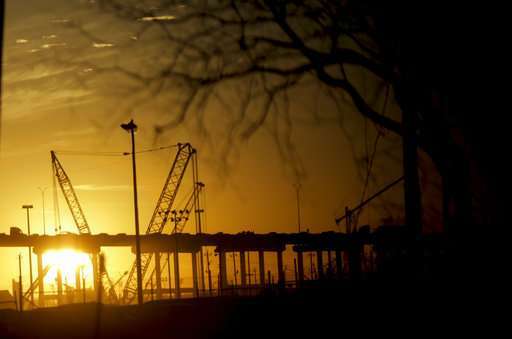 An examination of the 17 state Superfund sites found "no major issues," regulators said. State officials said they didn't test any sediment that may have been deposited elsewhere by floodwaters. The EPA tested water at an unspecified number of industrial sites but did not disclose results. Without elaborating, the state said it had a number of open investigations. The EPA refused to discuss whom it might be investigating, beyond Valero and Arkema. With a few exceptions, companies with spills did not call local emergency responders, meaning the public was not informed in real time. Instead, the companies handled the spills in-house, the Chronicle and AP found in surveying local and county fire officials. The Harris County Sheriff's Office, which handles countywide emergency response and routinely dispatches a special investigator to major spills, said it was not alerted to 22 of 23 spills that reporters asked about, based on size and potential toxicity. The Arkema plant was the exception. Impossible to go unnoticed, its containers of liquid organic peroxides exploded after floodwaters disabled backup generators. Sickened first responders have filed suit, as have Harris and Liberty counties, which claim the company violated numerous environmental and safety regulations. Bob Royall, emergency operations chief for the county's Fire Marshal office, said his agency was alerted to Arkema and the Williams' hydrochloric acid leak but no one informed it at the time of the nearly half-million-gallon Magellan spill. Like spills on land, unpermitted releases of air toxins are self-reported in Texas—a state that has long been friendly to heavy industry. As attorney general, prior to being elected governor, Abbott had sued the federal government more than a dozen times to challenge environmental regulations that he deemed over-reaching. The governor's Harvey disaster declaration suspended environmental reporting and record-keeping rules as well as liability for unauthorized emissions for the duration of the disaster declaration, which was most recently renewed on March 16. A spokesman for the state environmental agency said the suspensions only apply when rules would hinder disaster response. An attorney for the nonprofit Austin-based Environmental Integrity Project said that while federal environmental laws remained in effect, the governor's action essentially put state regulators on the sidelines and made it more difficult to hold polluters accountable. "The state tied its own hands before it knew the scope or the magnitude or any of the effects of the storm," said attorney Ilan Levin. The TCEQ itself has a long track record of industry tolerance. State auditors in 2003 found it was late in ordering and collecting fines, giving polluters $25 million a year in discounts. A study by Levin's group found the agency penalized only 3 percent of air pollution incidents reported by all companies statewide from 2011 to 2016. 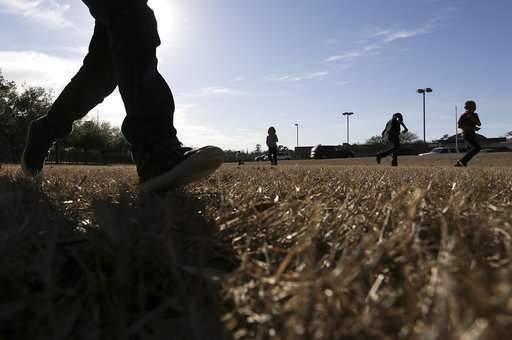 Two Texas laws enacted since mid-2015 have weakened counties' ability to police polluters. The first caps at $2.15 million what they can collect from polluters in lawsuits. The rest must go to the state. The second law took effect Sept. 1. 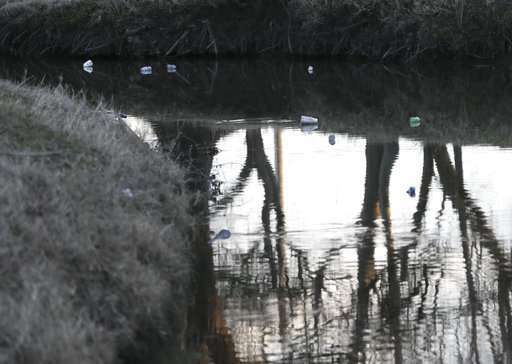 It obliges counties to give the state right of first refusal on any pollution enforcement cases, which local officials say could mean less punitive action. "Every time we've been able to make something—you get a large judgment against one of these companies, get some significant process-changing injunctive relief—they come back around behind us to the legislature," said Owens. "And they have clipped our wings."